Why go to a travel show this winter? The free Talk Travel panel sessions are facilitated by the renowned travel journalist Eoghan Corry, with leading industry experts giving talks and answering visitors questions on topics such as Holiday trends for 2019, Cruises, Irish tourism, USA travel, African holidays, Irish attractions, the Japan Rugby World Cup, Snow holidays, Asian holidays, European holidays, Visa, Passports & Vaccinations, Airlines, weddings and Honeymoons, Solo travel, Ireland’s travel agents, Ryanair and Discovering Ireland. Walking holidays are continuing to be popular in 2019, and TDactive has done a complete review of walking holidays to ensure they have a programme that suits the more ambitious walkers and introduced new walking levels. Each walking holiday now offers a choice of two routes with varying pace and distance. Leisurely, moderate and challenging! Brand new to the Explore range of holidays for 2019 is adding a Fitness Holiday to the Algarve. More and more guests have found that travelling solo with Uniworld is one of the most enriching and rewarding ways to explore Europe. To celebrate this, we’ve waived or reduced the Solo Supplement on select departures of some of our most popular 2019 itineraries! Book early, while space is still available. To book or for more information on Uniworld’s Solo Traveller Offer, please contact a Uniworld Specialist on 1800 98 98 98 or visit your local Travel Advisor. 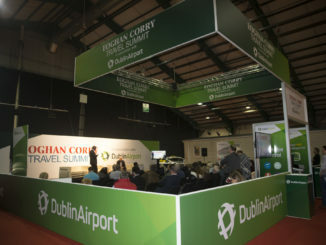 The Cork International Travel Fair in association with Cork Airport will take place at the Cork International Hotel on Saturday February 2nd and Sunday February 3rd 2019 from 11am-5.30pm. 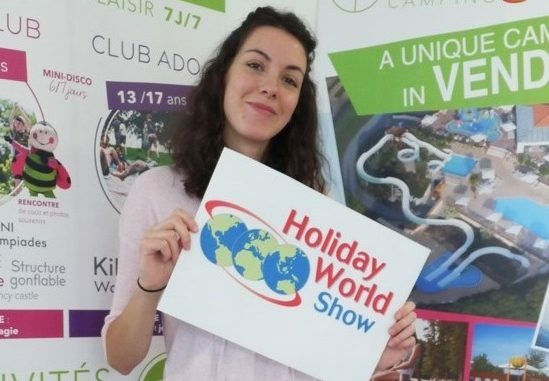 The travel fair, which is in its 3rd year is the ideal place to browse the many exhibitors and get the best value when booking your 2019 holiday. If you are looking to plan a mini break or staycation we have some of the best hotels and tourist attractions on site also for the weekend. There are some incredible prizes to be won over the weekend including a trip for 2 to Lisbon, a trip for 2 to Cornwall, a trip for 2 to Dubrovnik, a 2 night stay in the Dingle Skelligs Hotel, a 2 night stay in the Castle Oaks Hotel in Limerick and much more. My wife and I are going and we would like to take in somewhere on the way out and on the way back for a few days maybe Singapore and Hong Kong? So any ideas for (a) the stopovers (b) where to go for the 10 or so days in Japan. The key here is that when booking a package to a major sport event it is best to book early as doing a bespoke package can work out very expensive – going to a travel agent will help in this case – I went to Jean at Icon travel in Waterford and she suggested that a Japan tour that included tickets worked out at about €5,000 if booked last year and included tickets – Going at this stage flights will be much more expensive as supporters will all be converging in Japan at the same time for this event. Clients can also do Japanese cookery courses, hiking, kayaking, Wildlife in Japan – bird watching, sacred deer and native monkeys. It really depends on their interests. Regarding stopovers – it depends on what airline the clients fly with, a lot of our customers have gone direct from Frankfurt / Munich to Japan. Economy seats are heavily booked at present. 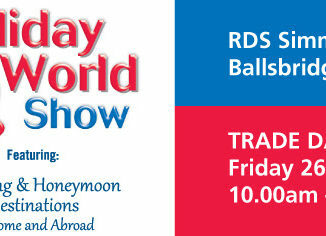 Cathy offer non-stop to Hong Kong from Dublin which is a nice second city to see and great for shopping. Going to Singapore means taking two flights then an onward to Japan but it too is a wonderful asian city that is worth visiting especially for food.